UNITED NATIONS, January 25 -- After making claims about how he is reforming the UN, but with the press and public banned from his question and answer session with UN member states, Secretary General Ban Ki-moon on Wednesday was asked "on Libya, do you think that there is a role for a UN Security Council investigation into civilians casualties of NATO bombings?" "I understand that NATO authorities have also mentioned to the issue of how to address the accountability of the civilian casualties in the course of military operations in Libya. But I am waiting for all their consultations." Beyond mocking what he calls his "quiet leadership," many have noted that on some issues Ban defers entirely to member states (or here, "NATO authorities") while on others he woodenly urges member states, or the Council, to do things. There is no consistency. There is not even much accuracy. In his opening statement, Ban said that "on Libya, my Special Representative, Ian Smith, and High Commissioner Navi Pillay briefed the Security Council this morning." Video here, at Minute 7:10. 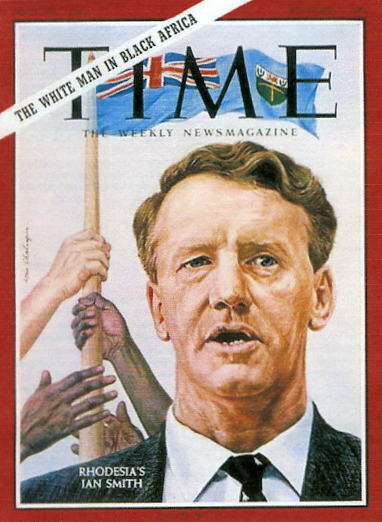 Ian Smith, of course, was ruler of colonial Rhodesia, renamed Zimbabwe. The UN modified its transcript of Ban's press conference, changing it to "my Special Representative, Ian [Martin]." After the Libya briefing to which Ban Ki-moon referred, Inner City Press asked Navi Pillay for her view of if NATO's casualties in Libya should be investigated. She answered that NATO is now cooperating with the Commission of Inquiry, whose report will be awaited. She noted that some in the Security Council would like the reporting to be to the Council. Ban's trick at times seems to be to outsource statements to Pillay. For example when Ban spoke with Yemen's Ali Saleh in November, he claimed to Inner City Press that the matter of immunity was not really discussed. Later Pillay denounced the immunity law that Saleh got. But where is Ban Ki-moon? Quiet leadership, indeed. Again, on the question of Ban's now outgoing deputy from Tanzania, Asha-Rose Migiro, Inner City Press on January 21 exclusively reported that she is out, to be replaced by Susana Malcorra (who has a role in the lack of military helicopters in South Sudan.) On January 23 Inner City Press asked Nesirky about it, but he claimed ignorance. Inner City Press wrote about it again on January 24, after the UN resident representative in Tanzania confirmed it. At his press conference, Ban belatedly confirmed it, saying that Migiro offered to leave. In fact, multiple sources in the African Group at the UN say Migiro lobbied them to try to stay, and say that Ban has again rebuffed the African Group as he has on their demand he appoint a full time Special Adviser on Africa. This is Ban's UN. But we will not stop asking. Watch this site.